Mighty Muggs are making a return in 2018. I guess Hasbro got tired of seeing all that cash heading to Funko from the POP! collectors. 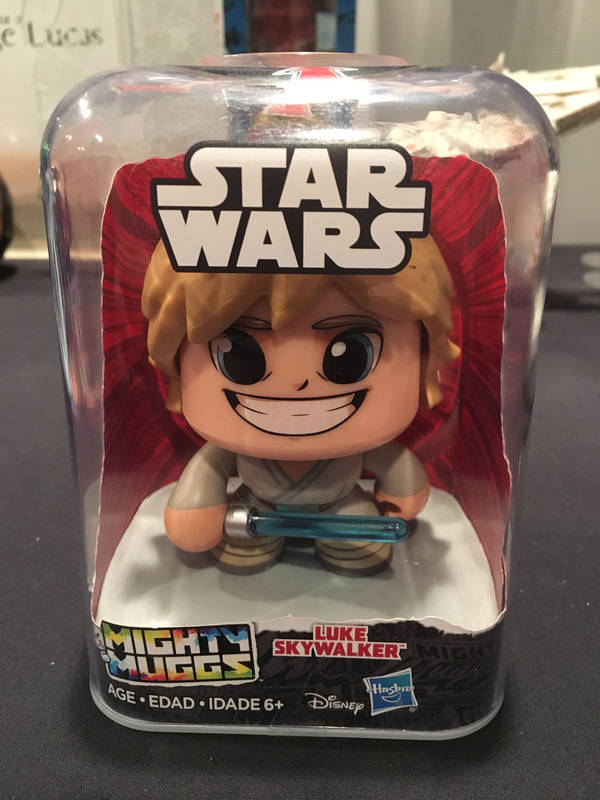 Hasbro sent me a free gift bag today from NYCC and it had one of the new face-changing Mighty Muggs in it. Click on the thumbnail below for a look at Luke. Or, you can click here to check out the press pics of the first five they announced - Princess Leia, Luke Skywalker, Kylo Ren, Rey, and Darth Vader. I also posted a video of Luke's face-changing feature in action on JediDefender's Twitter, so be sure to give that a look too if you are interested in these. 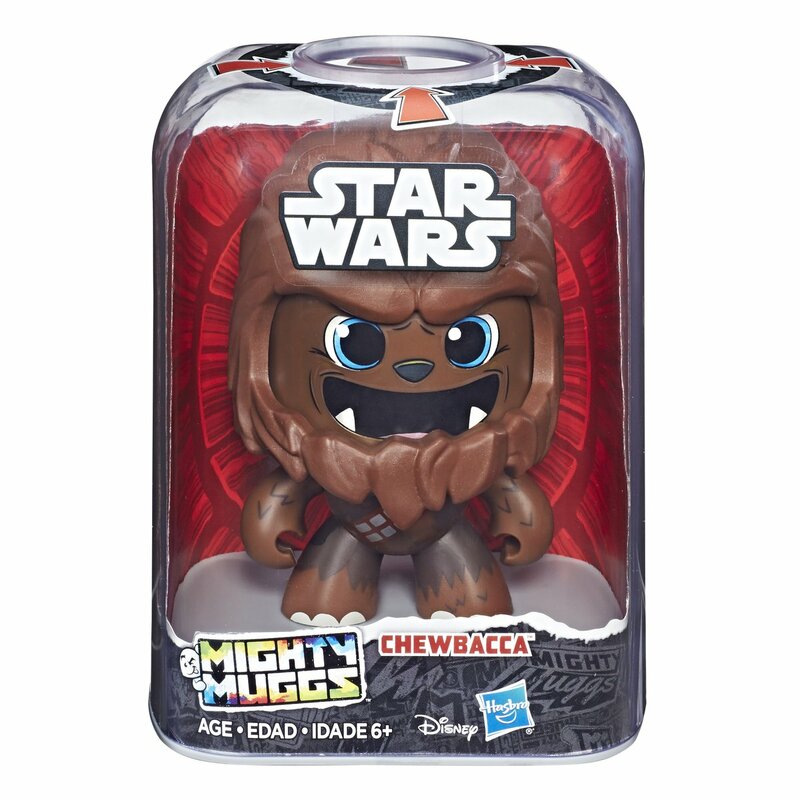 Now available for pre-order at Entertainment Earth - Case of 6 ($59.99) includes 1x each Mugg. Since I'm the only one posting in here, I guess I may be the only one buying any of these... in which case I'll redundantly tell myself that I posted press pics for today's mugg reveals in our SDCC 2018 Image Database. I actually kind of like these as well Jeff. I've been trying to cut down on "extra" stuff lately, and haven't gotten any myself yet. We did pick up Rey and Chewie for our daughter, and she definitely wants the Wicket as well.